Xecurify Authentication Service verifies that you are who you say you are before letting you move forward. 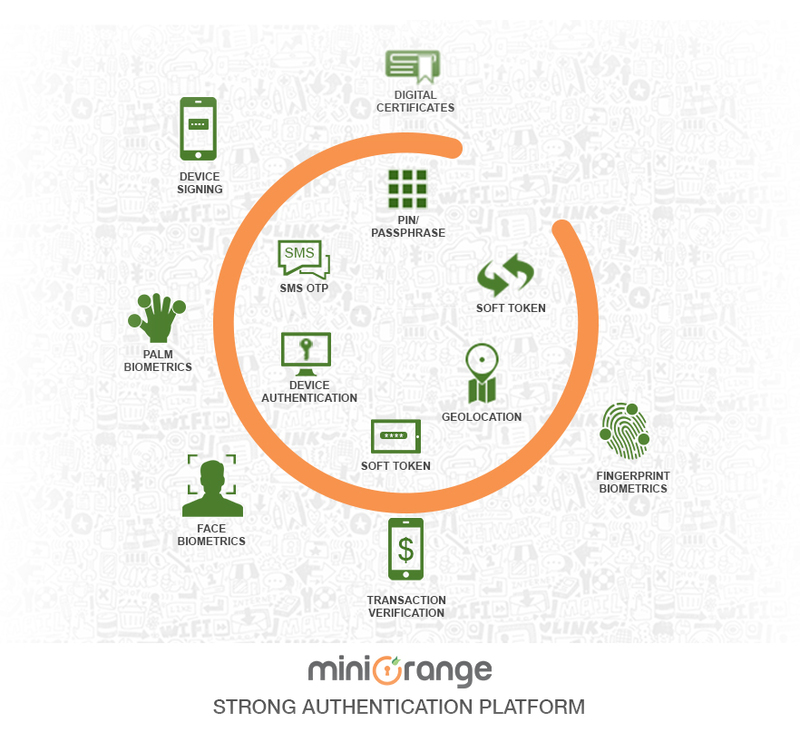 We ensure that however varied your user base may be, we have the right authentication method for each one of them. Soft Token is supported only for smart phone users. To use this you need to download and configure Xecurify Authenticator app from the Google Play store or Apple App store. Once you have this app configured on your smart phone, you can go to the soft token screen and see a six digit code that is visible and changes every minute. When prompted, you should enter this number to allow your transaction to proceed. This is supported only for smart phone users. To use this you need to download and configure Xecurify Authenticator app from the Google Play store or Apple App store. Once you have this app configured on your smart phone, every time you do a transction, you will receive an 'Allow' or 'Deny' message on your phone and your transaction goes forward only if you 'Allow' it. This is supported only for smart phone users. To use this you need to download and configure Xecurify Authenticator app from the Google Play store or Apple App store. Once you have this app configured on your smart phone, when prompted you should open the app and click on the 'Authenticate' button. It opens a scanning screen. Scan the encrypted QR code on the screen to make your transaction proceed further. This is supported only for smart phone users. To use this you need to download and configure Xecurify Authenticator app from the Google Play store or Apple App store. Once you have this app configured on your smart phone, when performing your transaction on your laptop, you will be notified on your smart phone that this transaction needs additional authentication to move forward and you need to authenticate your voice. Press any part of your smart phone screen to indicate you understand this, and you will be prompted to enter either a series of digits or phrases, depending on how you have configured it earlier. You may be prompted for this more than once because of background noise etc while the program tries to determine your voice print. If your voice print matches the one on record, your transaction goes through.